Russia is expected to dominate all seven wrestling weight categories in London while trying to improve on the Beijing medal haul four years agoof three gold, two silver and one bronze. Besik Kudukhov, who won bronze in Beijing in the 55kg class four years ago, is the only one of the seven wrestlers making a second Olympic attempt. 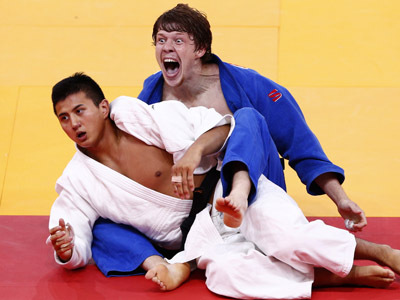 This time though, he will try his luck one step over his previous weight – in the 60 kg division. Djamal Otarsultanov will defend the Russian colors in the lightest 55 kg division. The three time European champion won his ticket to London by defeating world champion Viktor Lebedev in the Russian nationals. Onto the 66 kg class, Alan Gogayev is certainly on a roll after the 22 year old won the most recent European championship and the Russian title in St. Petersburg. The competition for a place in London in the 74 kilo category was widely considered the main event of the Russian nationals in St. Petersburg, featuring a clash between the Sydney champion Adam Saitiev and two time world champion Denis Tsargush. 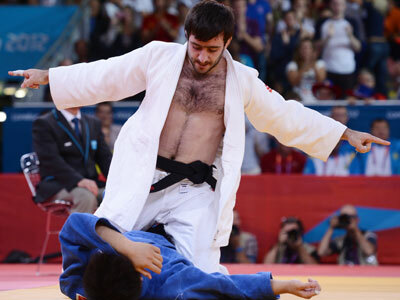 Despite his brother Buvaisar’s support, who is a three time Olympic champion himself, Saitiev lost giving Tsargush the coveted place on the team. Anzor Urishev of Russia’s Republic of Kabardino Balkaria will wrestle in the 84 kg class, while the 2012 European and Russia champion Abdusalam Gadisov will try to rule the mat in the 96 kilo division. The superheavyweight category of 120K features the explosive Dagestani Bilyal Makhov, who missed the previous Games due to an illness. Olympic wrestlers are in for five bouts, if they are to go all the way, starting from August 5. All seven are already in London eager to improve Russia’s medals crop.